If you are asked to choose between a fighting force equipped with armour, warplanes and attack helicopters and one that is numerically inferior and made up predominantly of light infantry, which side do you think would prevail in combat? Look at recent encounters around the globe (particularly the Middle East and Afghanistan) and you will find bands of resolute combatants - who do not fear death and in some cases seek it - who have bested better-armed, professional armies. On paper, the table of organisation and equipment for these professional armies eclipses that of their opponents, often little more than foot soldiers who drive into battle in civilian 4x4s or captured vehicles. Small unit action in places like Syria and Yemen has shown that superior firepower alone will not determine the outcome of battle. And looking pretty on parade is no indication of one's prowess in battle (or lack thereof). These tactical successes are forcing a rethink of the concept of deterrence. For us in Singapore, the firefights that resulted in battlefield reversals for professional armies are worth a look on two counts. First, because it forces us to rethink what constitutes a credible military deterrent. Second, when war machines rendered inoperable in foreign battles are similar to the types fielded by the Singapore Armed Forces (SAF), the successful weapons and tactics deserve close scrutiny. Deterrence is the linchpin of Singapore's defence strategy. The mission of the Singapore Ministry of Defence (MINDEF) and the SAF is to "enhance Singapore's peace and security through deterrence and diplomacy, and should these fail, to secure a swift and decisive victory over the aggressor". 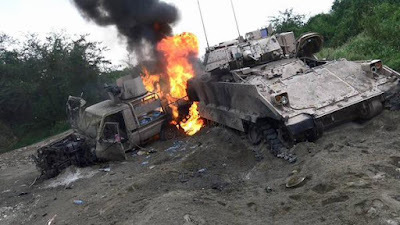 When professional armies are whalloped by irregulars whose offensive power rests with what they manpack or mount on light vehicles, this puts to test the idea of deterrence built around professional armed forces trained, organised, equipped and supported for high intensity warfare. They actively share their tactical successes on social media to reach eyeballs far from the scene of combat. This explains the profusion of videos and images on the internet that show combat footage of war machines being put out of action. 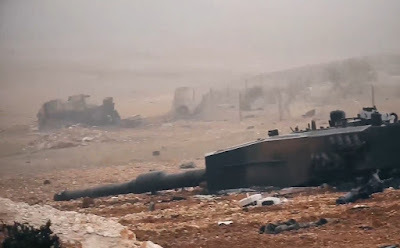 In 21st century warfare, a weapon strike becomes a Hollywood moment with video or camera lenses focused on target to capture the moment of impact. This makes claims of a kill more credible and raises the propaganda value of a successful engagement. It also sustains the shock effect of the kill long after the smoke has cleared. Information is thus wielded as a "weapon" to fortify homeground morale or to unsettle one's opponents. Even in foreign language videos overlaid with folksy Arabic tunes, one does not need subtitles to figure out the key messages being propagated. This tussle for hearts and minds exerts an impact on deterrence that can be played out on several fronts. a) Misreading victories trumpeted by irregular combatants as indications that the conventionally-structured armed forces of one's neighbour can be similarly beaten with meagre resources. This diminishes the value of deterrence because the other side does not fear the military power ranged against it or underestimates its potential. b) Manipulating tactical successes by irregular combatants to convince one's countrymen that one's own armed forces are more combat capable and effective than they actually are. Perpetuating this point of view could embolden a country with a smaller and less advanced armed forces, giving it the moral fibre needed to weather a prolonged period of tension. Doing so blunts the deterrent value of a strong and combat ready armed forces. c) Specific to Singapore's context, there is a possibility that foreign defence observers who watch the Lion City may disregard the deterrent value of the SAF. This could lead to them downplaying capability demonstrations staged at critical junctures. In doing so, they may miss key signals from MINDEF/SAF that coincide with shifts in the strategic landscape. During the Malindo Darsasa 3AB war games staged by the combined armies of Malaysia and Indonesia in Johor in August 1991, the airdrop by MAF and TNI paratroopers some 20km from Woodlands on National Day saw the open mobilisation of SAF armour units publicised by Singapore's TV and newspapers. There was no Facebook or Twitter in those days, and no online editions of newspapers. So the evening television news and newspaper coverage were the main channels for publicising that it was not business as usual for the SAF, having stepped up its force readiness posture. The cognitive dissonance arising from the situations outlined above underlines the importance of a proper Info Ops plan to assess how others may perceive the SAF. This is especially important as developments in warfare in far flung areas of the world may inadvertently prompt others to relook Singapore's military potential. For situations (a) and (b), simply rolling out new or hitherto unknown SAF capabilities would not suffice as foreign observers may shrug off the deterrent value of such platforms or systems. Even the Israel Defense Forces is grappling with this dilemma. For example, their once-vaunted armoured forces face an uphill task reclaiming their reputation as a weapon of war after various marques of the Merkava were destroyed by Hezbollah in Lebanon. One does not think that Hezbollah anti-tank teams are losing any sleep over the possibility they may some day face Merk 4s in combat. A more effective approach would involve building one's credibility in Info Ops in peacetime, and to invest efforts to inform and educate stakeholders to help them understand and appreciate what the SAF is all about. Open houses for the public, exchanges of military personnel, joint dialogues and exercises, as well as visits between armed forces personnel contribute to confidence building and also to deterrence - assuming the takeway from foreign observers is that the SAF is a force to be reckoned with. One should not treat this takeaway as a given. 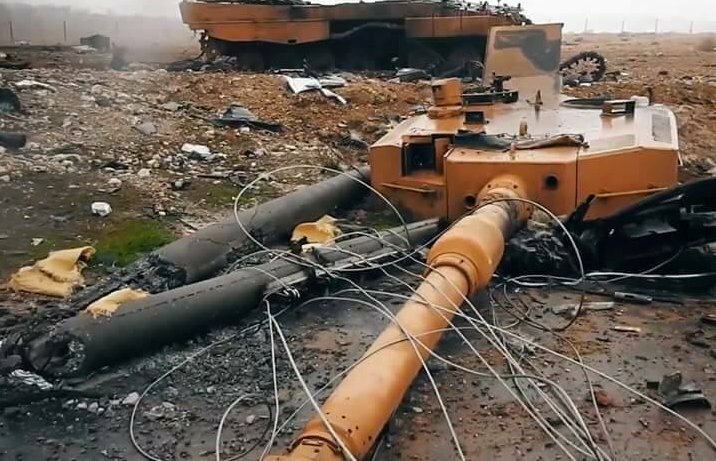 When one reads accounts of how Turkish Leopard 2 main battle tanks were wrecked in Syria, of how Apache attack helicopters from Saudi Arabia were shot down over the Arabian peninsula and accounts of how naval forces have been on the receiving end of asymmetric attacks involving fast craft rigged with explosives or massed attacks by small boats, it is clear that advanced war machines are not regarded as threats, but targets. Precisely why the sons of the Ottoman Empire fought less resolutely is open to debate. One could argue that they were not fighting for their homeland and felt the mission was not worth dying for. 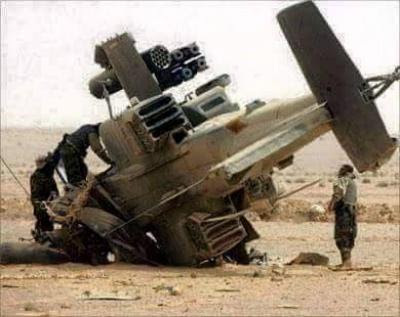 Ditto for Saudi forces who seemed to have abandoned their war machines on several occasions, many almost intact, rather than fighting it out. Tactical dispositions of Turkish and Saudi units were also not complemented by overwatch of surrounding areas with near and far fire bases. As a result, Saudi bivouacs on hill crests ended up as the beaten zone for automatic fire or ATGWs in one-sided encounters. Turkish armour operating with closed hatches seem to have missed seeing incoming guided munitions on many occasions. Turkish AH-1 Cobras and Saudi AH-64 Apache attack helicopters have also been filmed being brought down by MANPADS. There are tactical lessons that can be distilled from such encounters. When one considers that the weapons of choice - ATGMs and MANPADS - are also found in this region, there's all the more reason why we need to sit up and take note. There is another dimension to the concept of deterrence. This lies with the importance of being aware how we are perceived by others, and being self-aware never to overstate our own capabilities. Just as we fret over the possibility that foreign observers could bookmark case studies to show why the SAF is not to be feared, there is a danger we may fall prey to our own propaganda. We walked that road in pre-war days before the outbreak of the Pacific War drummed home the lesson about hubris and complacency. That is a hard lesson we would do well to remember. In peace, the loss of a single human life is already both heartbreaking and tragic. And in war the losses in both men & material will be very much higher. But, if there is no choice but to go to war to keep the peace and our way of life, then Singaporeans must accept that there will be high losses to life and material , both military and civilian. It is the peoples’ resolve to fight, willingness to take losses & win a war ( should it ever come – and we hope will never happen ) that is the ultimate deterrent to those who wish us harm. Should our opponents choose to force us to take the course of final resort, it is also clear that in a war situation they will suffer immeasurable losses in both human & material terms. Military equipment superiority is a crucial advantage for the SAF. But without the ability to harness it to the fullest with the proper doctrine, strategy, tactics & skills from the highest levels down to the lowest denominator ( the individual infantryman, airman & seaman ) and together with & most importantly the fighting spirit, determination & resilience of the individual, it will not guarantee success on the battlefield. History has time & again shown that technology & equipment superiority alone does not win battles. The pictures of destroyed Turkish Leopard 2 A4s in the Syrian city of Al-Bab is a sobering reminder that 60 ton tanks can be destroyed by determined two or three man teams wielding ATGMs. What is not clear is whether the Turkish L2s were employed correctly in the battle so that they did not have to suffer such an ignominious fate. Superior weapons combined with correct doctrine, strategy & tactics and the ability to execute them well in a real shooting war is a key battlefield winner. The SAF will need to showcase realistic combined arms live fire exercises to all stakeholders to score points on its real capabilities. But I think that the SAF infantry should also train fight asymmetrically given the appearance of game changing highly portable ( 10 kg all up guided missiles rounds including launcher , missile guidance , sights with effective ranges up to 2 km ) new guided weapons which are starting to make their appearance. These include Rafael’s Spike SR, MBDA’s Enforcer & Carl Gustav UltraLight Missile for use at Platoon or Section level. With SAF’s emphasis on conventional type warfare doctrine, I personally believe that the firepower of the SAF’s infantry sections & companies have diminished considerably from the past. Also, the infantry is very lacking in individual optical and night fighting sights. This should be addressed to give the infantry the advantage which I believe is severely lacking compared to other infantry forces in the region. The individual determined and well trained infantryman armed with advanced weapons & communications has become even deadlier, maybe more so than a 60 ton L2 A4. I guess the issue here starts with the individual. If the individual feels committed to the cause and willing to do everything for the cause, the the group of individuals will work together to achieve the seemingly impossible. But if the organisation does not value individuals or start to carve out "classes", then the disillusioned individual will not want to fight as hard. The big elephant in the room is not the broken leopard tanks or shot down AH64s, its the commitment of the people to serve in the SAF to make SAF a credible deterrence. Is SAF doing enough in 2017 to bring the best out of her servicemen/women? Or we are stuck in 1980s/1990s ? Hong kong has returned to China, KMT has lost power twice in Taiwan. Times have changed. Did SAF change? The vulnerability is seen in the Terrex incident. The results are out there for all to see. We should all love SG to defend her with our lives. But how many did we lose along the way? Its too many to count.